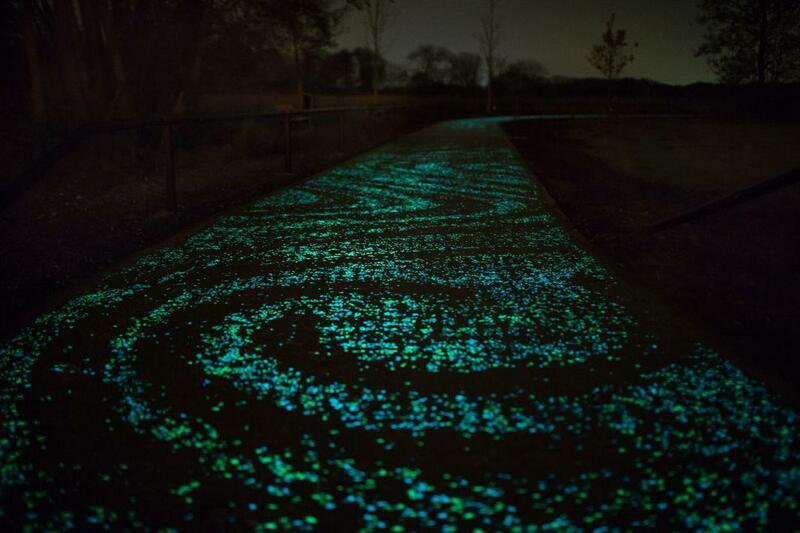 Van Gogh-Roosegaarde bike path based on Van Gogh's Starry Night glows in the dark in Nuenen, Netherlands (PHOTOS). 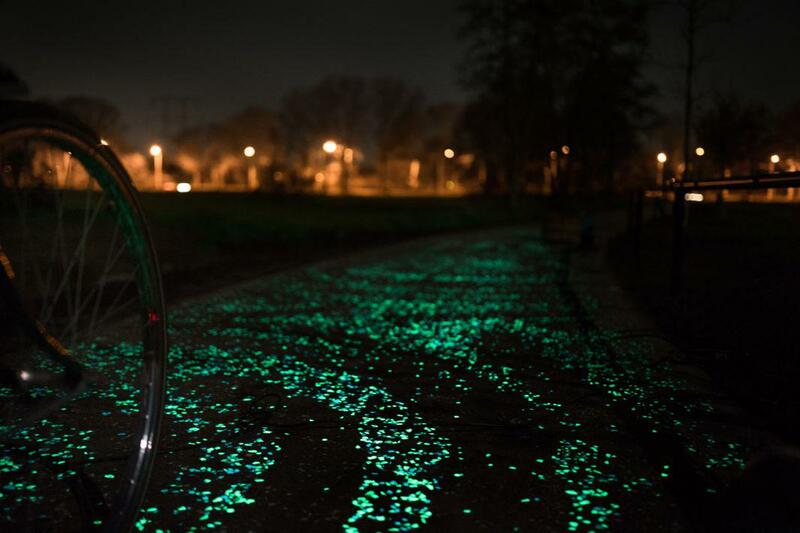 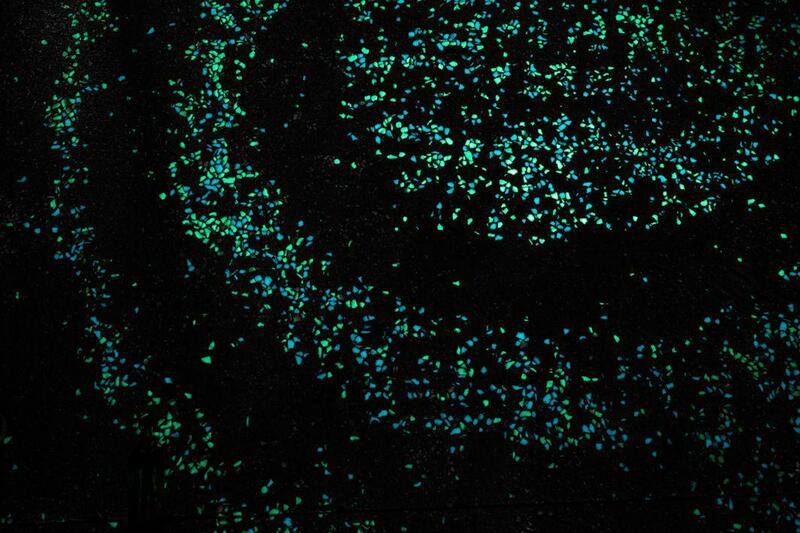 The glow-in-the-dark Van Gogh–Roosegaarde bike path, which opened this week in the Netherlands, is based on the painting Starry Night. 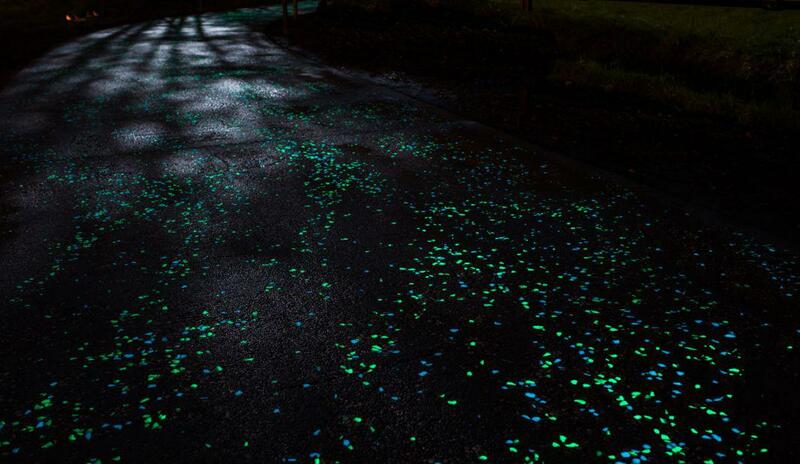 Here at The Eye, we love a glow-in-the-dark sidewalk. 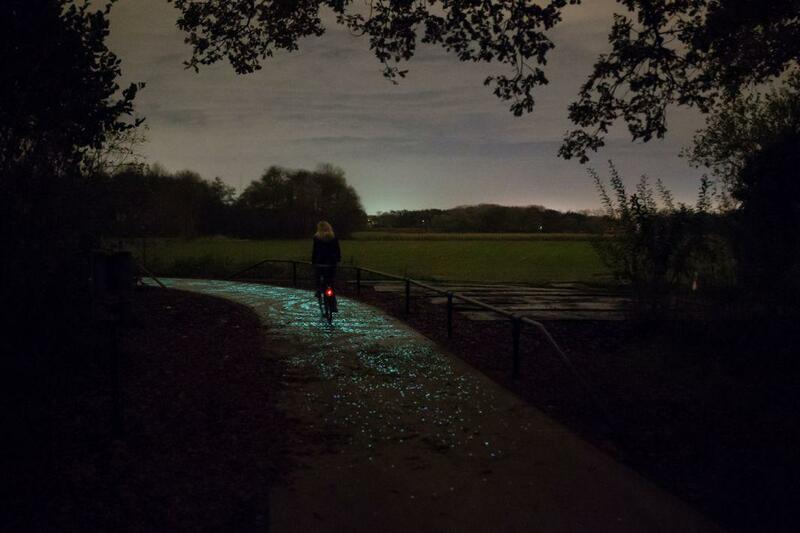 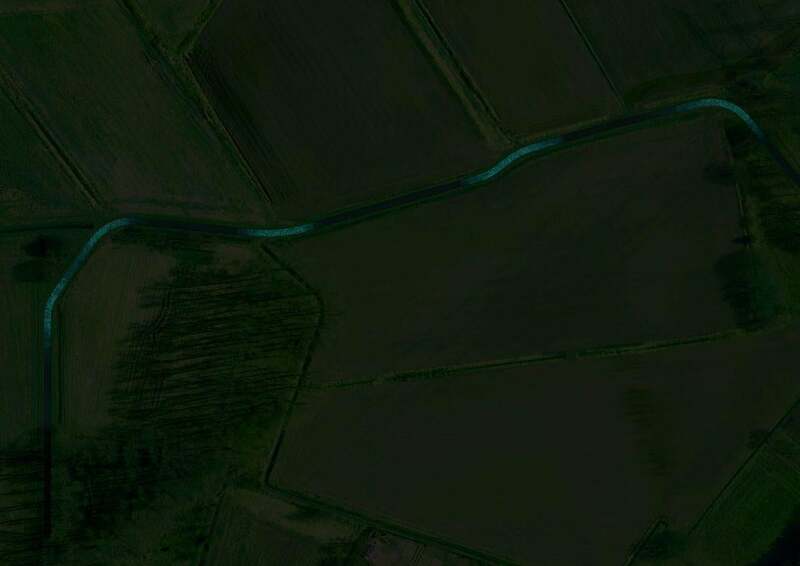 This week in the Netherlands, artist Daan Roosegaarde’s design studio inaugurated the Van Gogh–Roosegaarde bicycle path, a dreamy version of Vincent van Gogh’s famous painting Starry Night come to life on a stretch of land in Nuenen, Netherlands, where the artist lived from 1883 to 1885 (before painting his universally loved version of a swirling night sky in 1889 in Provence, France). 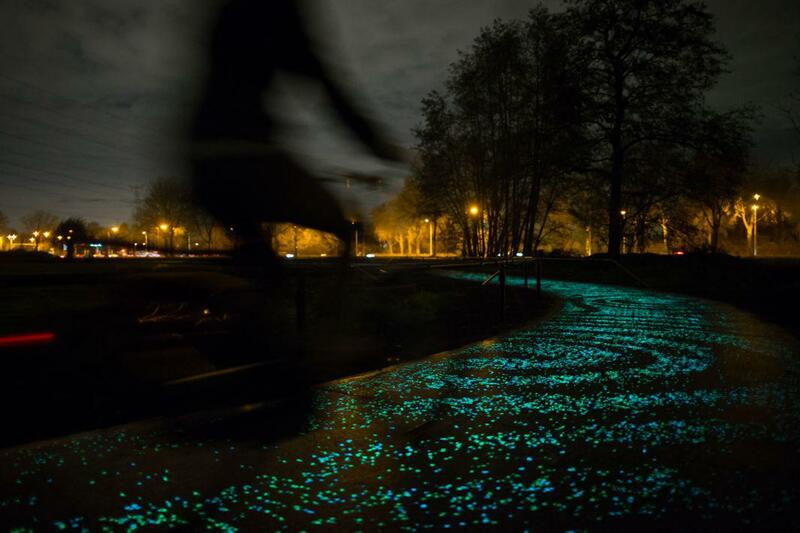 Made from thousands of faux pebbles poured into concrete and covered in a smart material that allows them to charge during daylight and seem to magically glow after dark, the Van Gogh–Roosegaarde bike path marks the start of Van Gogh 2015, a European cultural and tourism initiative to commemorate the 125th anniversary of the painter’s death. 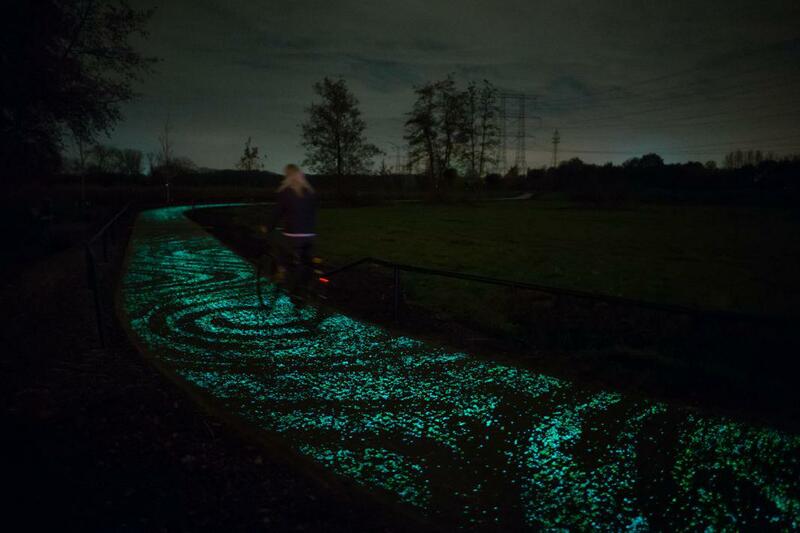 The glowing bike path, with its luminescent pebbles mimicking the famous swirls of the night sky in the original painting, is part of the Van Gogh cycle route in the Netherlands’ Brabant province. 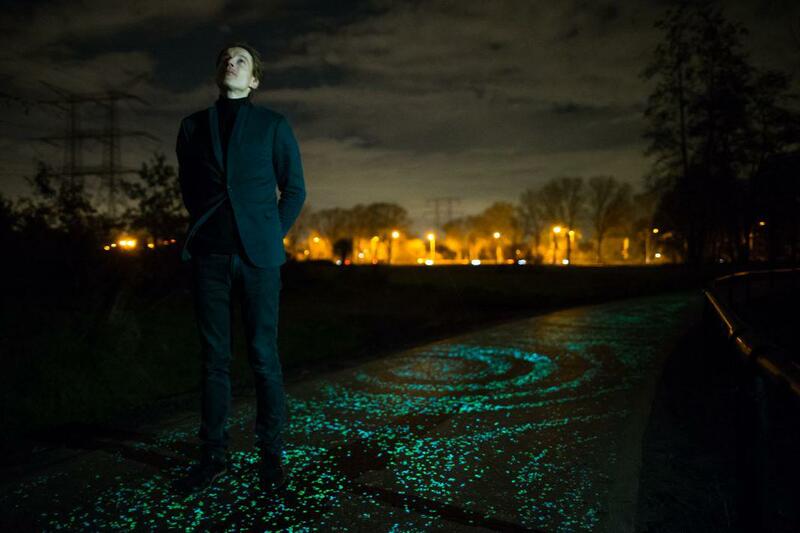 “The technical combined with experience, that’s what techno-poetry means to me,” Roosegaarde said in a press release.